Cool Bug Stuff conducted an experiment to demonstrate how snakes, lizards, and bugs shed their skin / exoskeleton, when they grow and molt. Spread glue on one of your hands and let dry. 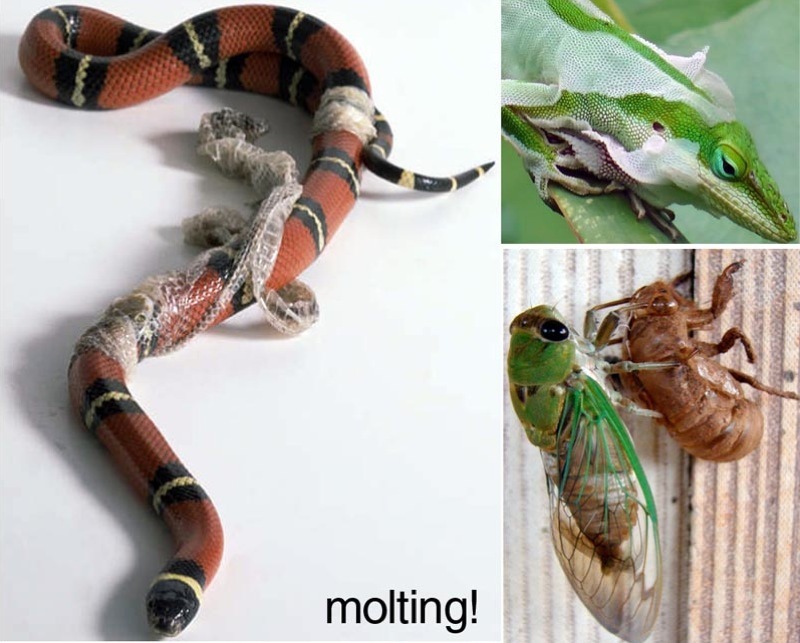 "Slowly peel dried glue off and discuss the different insects and reptiles that shed or molt." Cute idea! Never thought to do that with glue - it's a great way to teach molting!